We always strive to provide the safest, highest quality products and services available in the industry, no matter how large or small the order or budget. 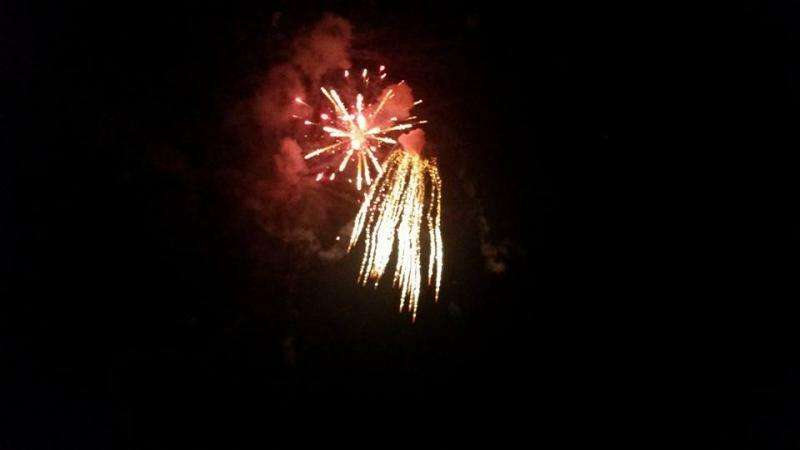 All of our fireworks displays are custom designed to fit the occasion, location, and budget. We will work closely with your organization to create the most spectacular display possible. 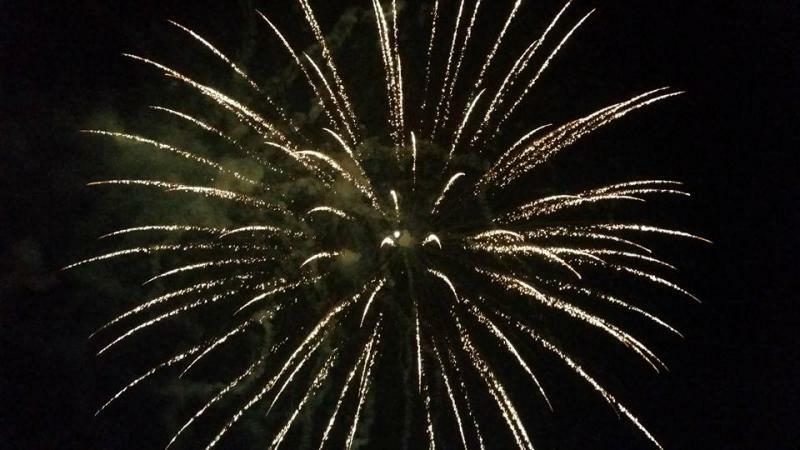 All of our fireworks are hand picked for quality, reliability, safety, and value to give you the most bang for your buck, but remember, the more you invest in it, the beter your show will be. We try to accomodate any special requests you may have for your show including specific types of shells and cakes. Many customers choose to add a set piece to their display. These are signs or pictures made with small flares called lances. Set pieces are often made to spell out the name of a sponsor. The one below was made for new years. All of our dispays are set up and conducted according to NFPA 1123, Code for Outdoor displays. We can also take care of the permits needed for your show. Shows Start at $2,000.00. Minimum budget for shows more than 2 hours from Milton, WV is $5,000.00. Minimum for any show more than 4 hours from Milton, WV is $10,000.00. Back yard mini shows may soon be available within 1 hour of Milton, WV. Prices are not set yet, but should be below $2,000.00. 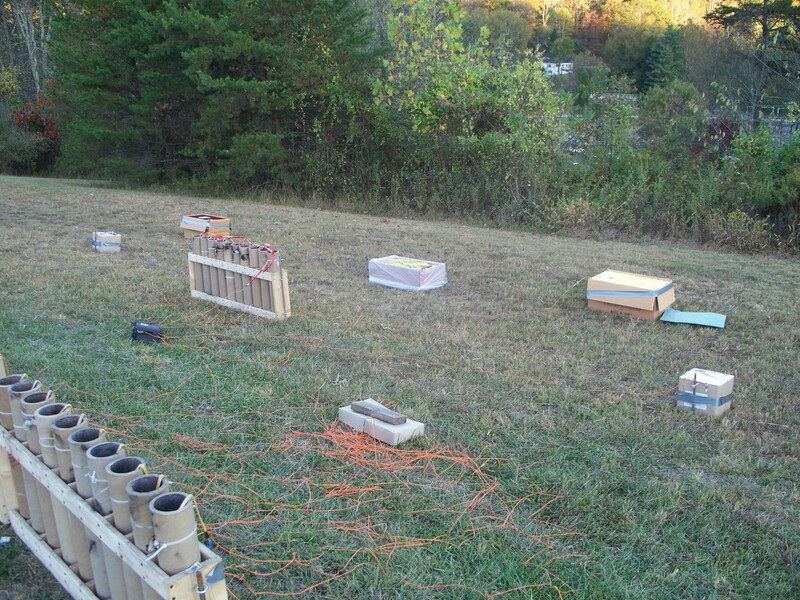 These are intended for small gatherings on private property where space allows for safe use of professional fireworks. 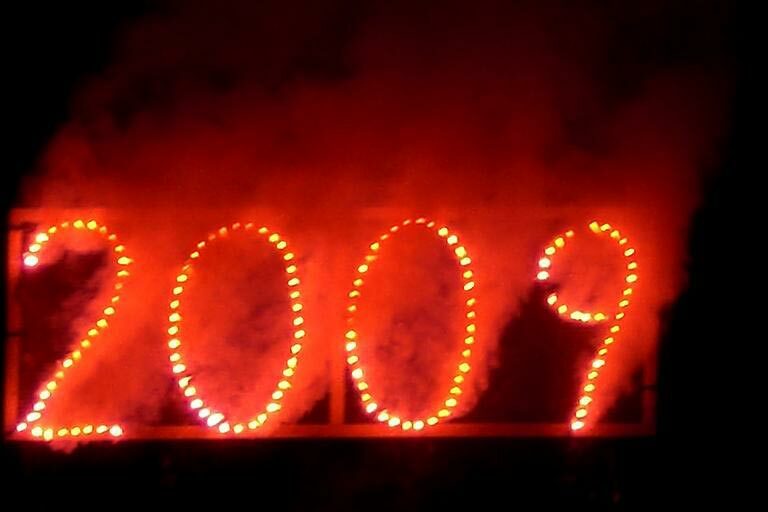 In addition to our outdoor fireworks displays we also produce pyrotechnic special effects for Civil War reenactments and living histories. These effects are designed to simulate both ground and air bursts of artillery shells. We use the latest technology in remote electronic firing to create an experience so realistic you'll actually believe that you are being shelled by enemy guns. A note to any one considering one of our displays: Please book your show at least 30 days prior to the actual display date in order to give sufficient time for planning and the permitting process. DO NOT contact us a week before your display and expect us to be able to do it. The process of planning and permitting a show takes a lot of time and effort and in the interest of safety and quality cannot be rushed. Also, to book a show for the 4th of July or the days surrounding it please contact us as far in advance as possible.